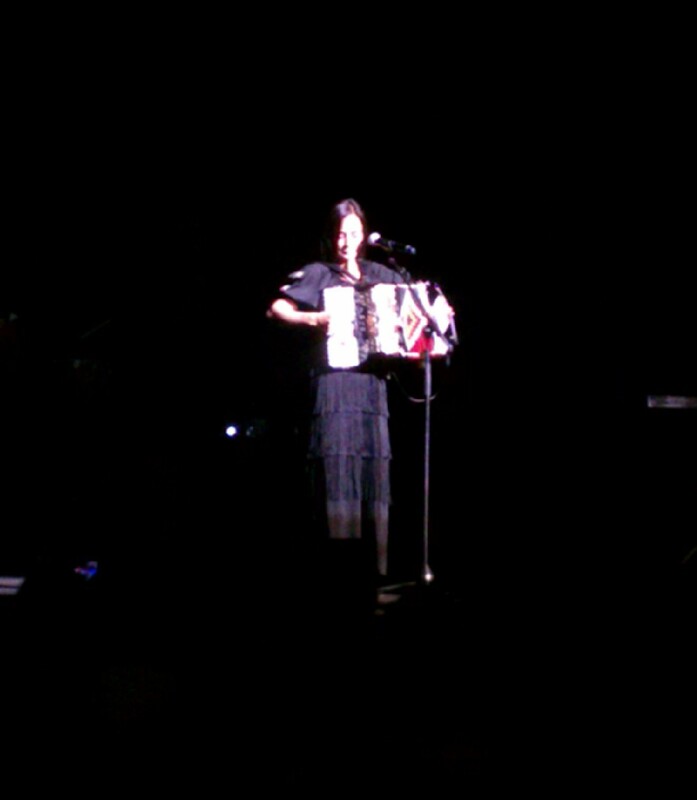 It had been a little over a year and a half since I last saw both Ximena Sariñana & Julieta Venegas. A lot has changed since they last performed in the Bay. 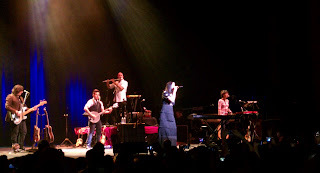 When Ximena last played, she was still working on the material which eventually became her self-titled debut English album, and Julieta Venegas was pregnant and exuding "mommy" glow. 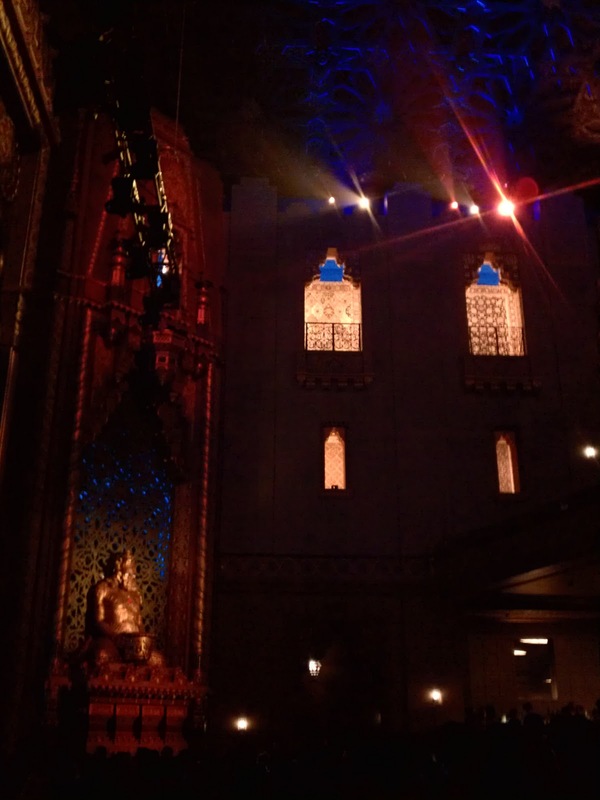 These beautiful and talented Mexican singer-songwriters played a show at the Fox Theater this past Sunday. Ximena opened the show, wearing a remarkably relaxed style which consisted of skinny jeans, Uggs, a plaid shirt and a sweater. Ximena did not need a fancy outfit or excessive makeup, her music did all of the work. She delighted the audience with songs from her English self-titled album, some which included Different, Echo Park and the Spanish song Tu Y Yo and of course she had to sing one of her fans favorite songs, Mediocre. She addressed the audience throughout her whole set and went back and forth between Spanish and English. Her set was a bit shorter than I would have liked, but she made the very best of the short time that she had. Shortly after Ximena’s set concluded and after a relatively quick stage re-arrangement, Julieta came on stage accompanied by a six member band. Unlike the last time that she played at the Fox Theater, this time around, a skinny Julieta donned the stage wearing a fabulous fringed and long black dress, hair down and styled straight. She performed for almost two hours alongside her band. From just singing to playing the guitar and the accordion (which has been her staple musical instrument of choice). Some of the songs that were part of Julieta’s repertoire from that night included: Canciones De Amor, Me Voy, Limon Y Sal, Eres Para Mi, Amores Perros, Seria Feliz & La Jaula De Oro. It seemed like the concert went by way too fast, but I was extremely pleased. It does not matter how many times I get to see these talented women perform, it is never the same. Do not forget to check out Ximena’s latest CD, if you have enjoyed her Spanish music, her English album will not let you down.